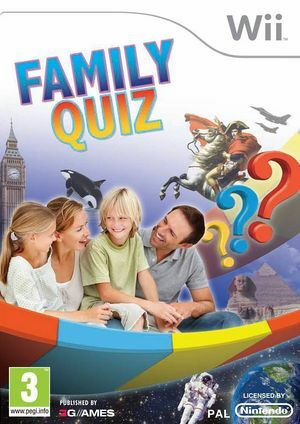 Family Quiz (also known as Galileo Family Quiz) is an exciting quiz game with board game elements and minigames, packed with several thousand questions on a wide variety of topics! Quiz questions on a wide variety of topics such as history, politics, physics, chemistry, mathematics, general knowledge, geography, biology and sport, some of which are accompanied by picture puzzles and video clips. Three different multiplayer modes and a Survivor mode for solo players are ready to challenge one to four players. The questions are divided into three age categories so that the whole family can join in the fun. Mini-games involving coordination and skill provide a change of pace and add to the overall excitement! A detailed highscore provides hours of gaming fun and motivation to play over and over again! The graph below charts the compatibility with Family Quiz since Dolphin's 2.0 release, listing revisions only where a compatibility change occurred. This page was last edited on 2 February 2018, at 07:19.